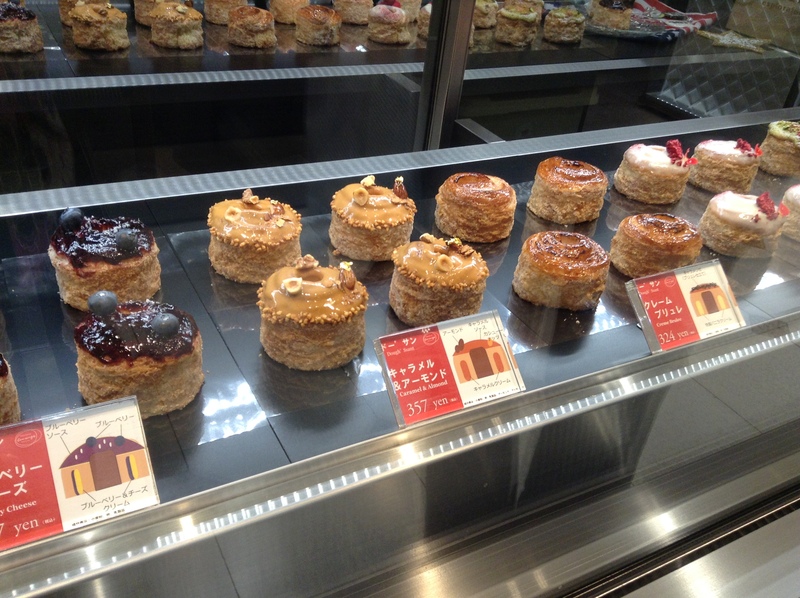 For a limited time, Chikalicious NY dough’ssant is available at Ginza Matsuya. 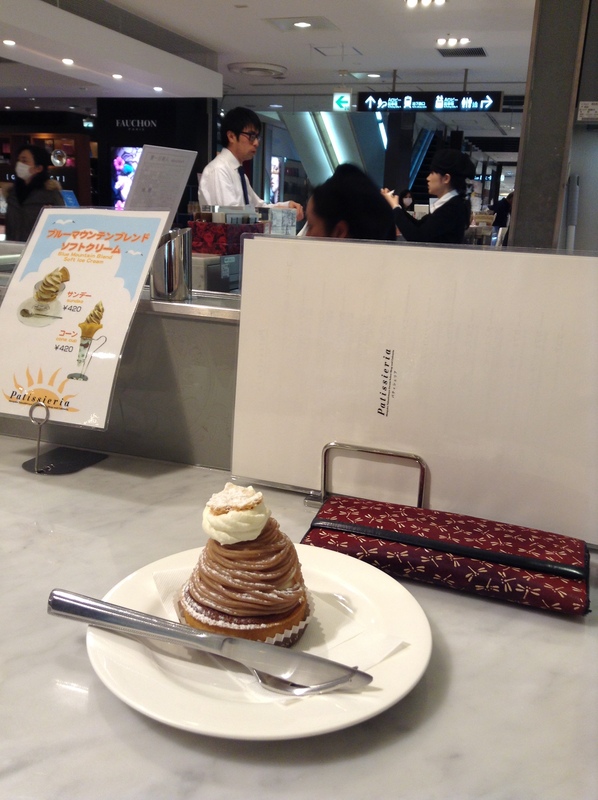 I still have yet to try a Cronut, but today while walking through Ginza Matsuya I saw what I thought was a Cronut. 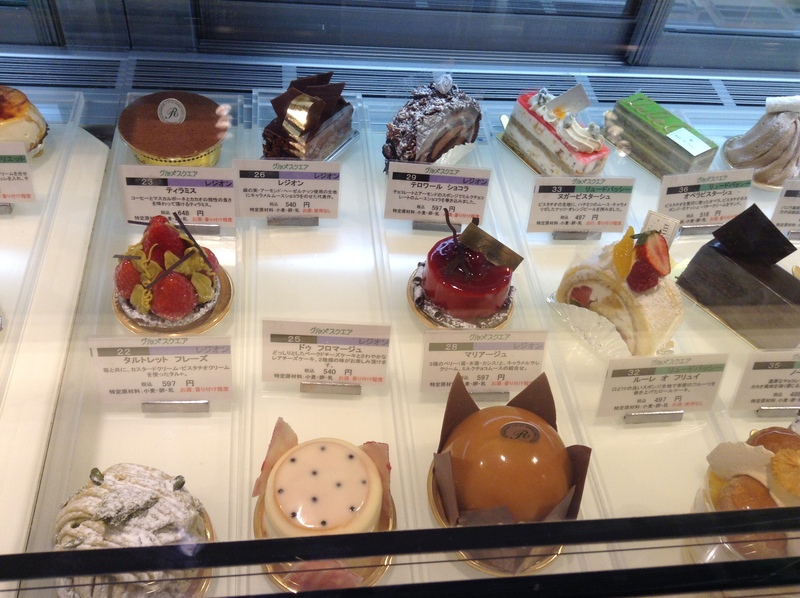 There are a few shops making these in Tokyo. 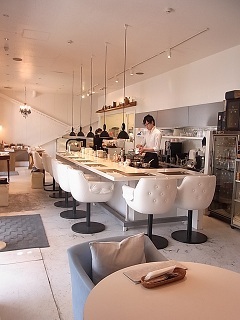 The only one that I have liked until now is The Roastery’s New York Rings in Omotesando. The others are all wanna-bes. 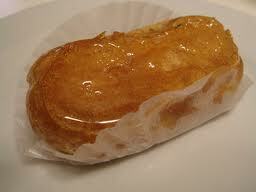 The caramel and almonds dough’ssant is very sweet. 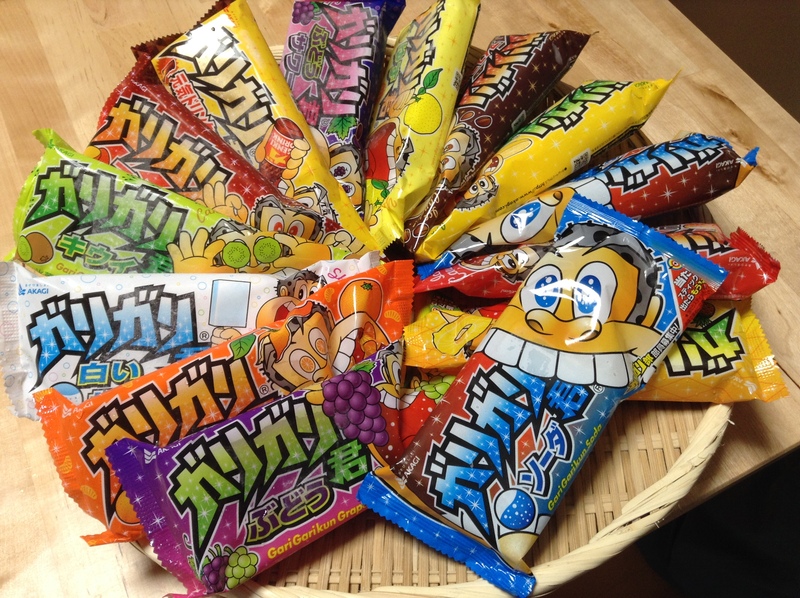 To be honest, I think it is too sweet for the Japanese market. I shared this with a friend and half was just the right amount. That being said, I will try to make it back to the shop to try another flavor, like creme brulee or mattcha, before the event ends. 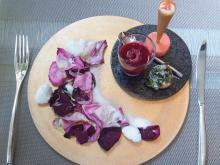 The staff said that these would only be available for a month. Not sure when it will end, so go soon. 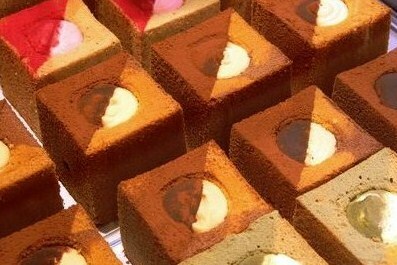 Chef David Myers from Los Angeles has created a buzz with his square-shaped chiffon cake in flavors such as yuzu and mattcha or Earl Grey and raspberry. 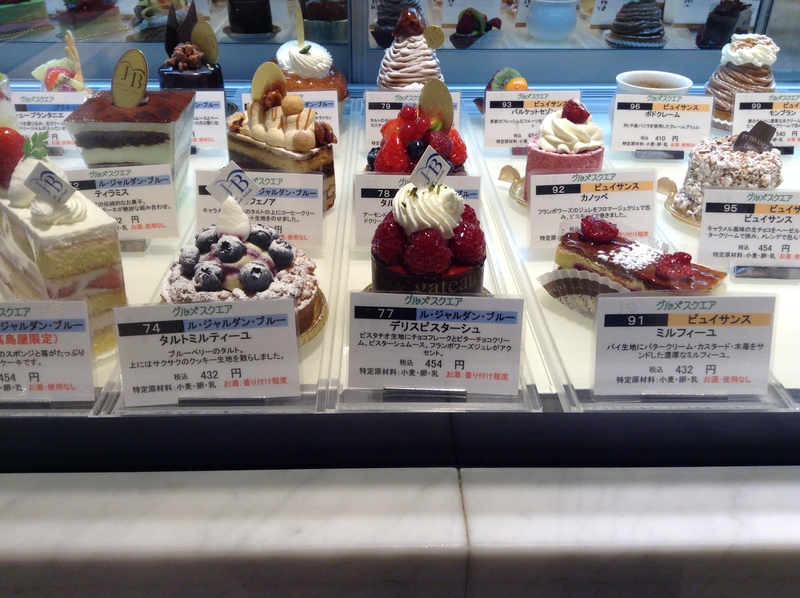 His patisseries can be found at SOLA in Ginza Mitsukoshi’s depachika. 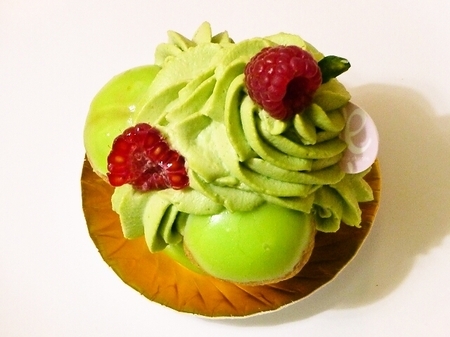 Sweets made from choux crème in many forms are popping up throughout the metropolis. 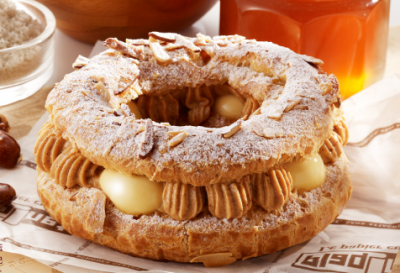 Some of what you will find include the traditional Paris-Brest at Patisserie Aimee Vibert, a pistachio Saint-honore at D’eux Patisserie in Tokyo station, or an éclair topped with a brittle candy at Aux Delices de Kenji.